A neck-and-neck contest is going on in Karnataka Assembly Polls Results 2018. All eyes are set on the Karnataka Assembly Election results, counting of which are currently underway at 38 centres in 30 districts across the state. In this Live Karnataka Results blog, we follow the election trends for 15 constituencies: Haliyal, Karwar, Kumta, Bhatkal, Sirsi, Yellapur, Hangal, Shiggaon, Haveri, Byadgi, Hirekerur, Ranebennur, Hadagali(SC), Hagaribommanahalli (SC) and Vijayanagara. By the end of the day, the fates of over 2,600 candidates, contesting from 222 seats out of 224-assembly constituencies, including 36 reserved for Scheduled Castes and 15 for the Scheduled Tribes, will be decided. Over 72 per cent of the 4.94-crore strong electorate voted on Saturday, May 12, recording the highest voter turnout in the last 35 years. 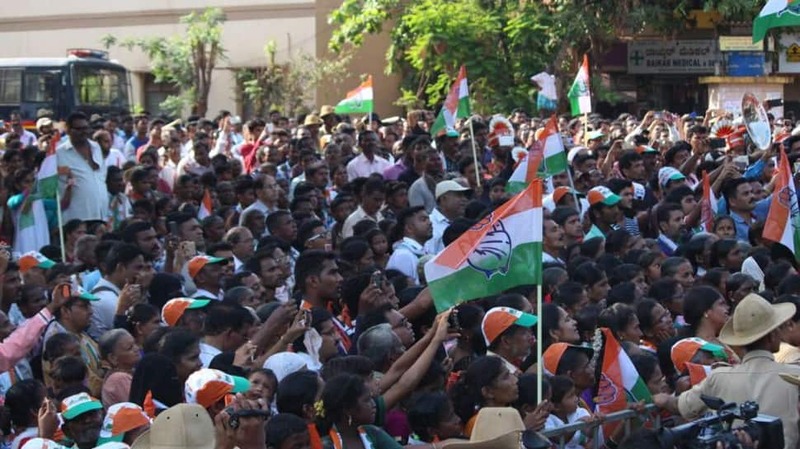 The results of these high-pitched elections are being touted to be the precursor to the upcoming Lok Sabha polls in 2019, with many predicting the winner of these polls will be the kingmaker. The BJP, which currently has formed government solo or in alliance in 21 states and eyeing the 22nd state, fought from 222 constituencies. Congress also contested from 222 constituencies. The Janata Dal-Secular (JD-S) fielded candidates for 201 seats while its ally Bahujan Samaj Party (BSP) contested from 21 seats. There were 1,155 Independents and about 800 candidates from national, regional and fringe parties. From Hadagalli, Congress candidate PT Parameshwara Naik is ahead of BJP candidate Chandranaik B. Official Election trends: From Haveri seat, BJP candidate Neharu Olekar is leading while Congress candidate Rudrappa Lamani is trailing by 3445 votes. A neck and neck fight is on in Karnataka. BJP leads in 60 seats, Congress is ahead in 65 seats while JDS is leading in 26 seats. "Vote counting began at 8 a.m. at 38 centres in 30 districts where 72.36 per cent of the 5.07 crore electorate polled across the state on Saturday, the Election Commission official told IANS here. Votes polled in 26 of the 28 Bengaluru`s urban and rural segments are being counted at four centres across the city. "The poll panel has deployed 16,662 personnel to count votes in each segment and declare the result after the process is completed," he added. Early election trends for Karnataka Assembly Elections: Congress takes an early lead in 25 seats, BJP ahead in 19 seats and JDS in 9. Counting begins across 283 centres across the state. The Election Commission has deployed 16,662 personnel including three flying squads in every constituency, 154 general observers, 136 expenditure observers, 34 police observers, 10,000 micro observers, 3.2 lakh polling personnel and members of the Central police forces in all polling stations.